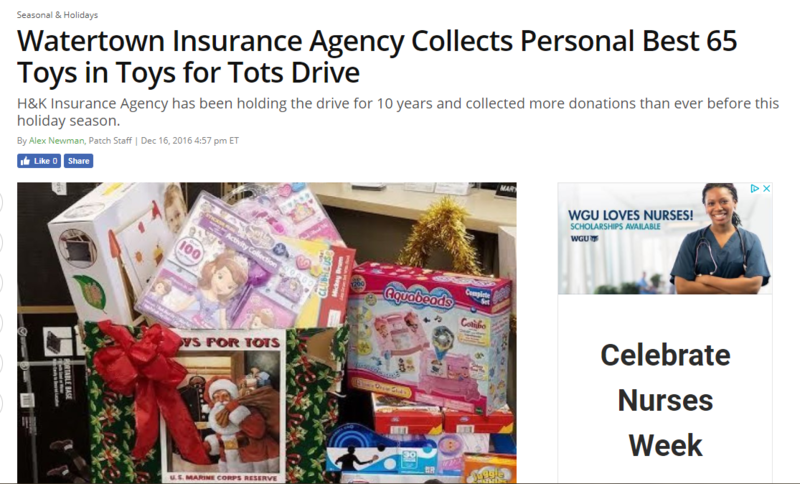 We’re proud to have been featured in a number of local and state publications. 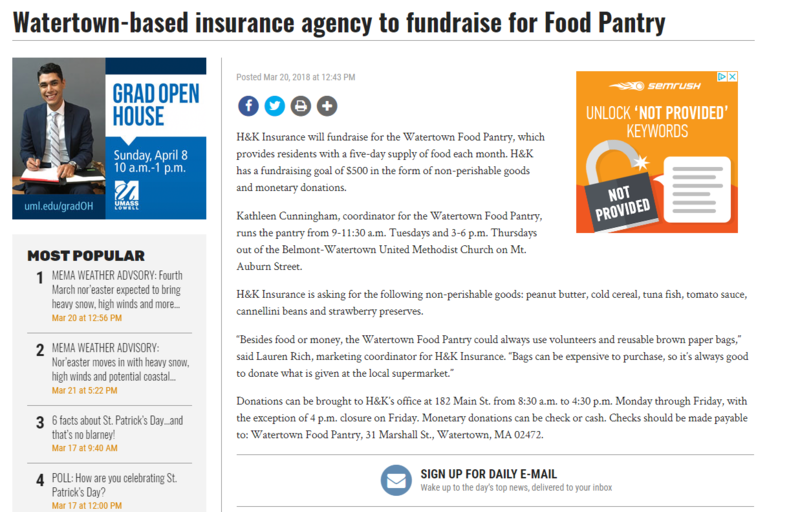 Press contact for H&K Insurance can be reached at 617-612-6532 or emailed at lrich@hkinsurance.com. 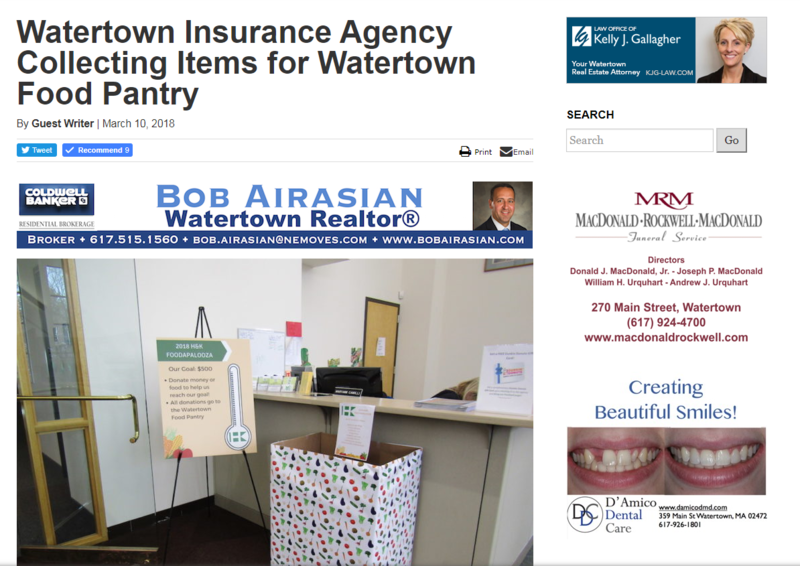 We were featured in the Watertown Tab, a publication by Wickedlocal, that highlights our fundraising efforts for the Watertown Food Pantry. Our goal was to raise $500 for the pantry using a combo of food and monetary donations. 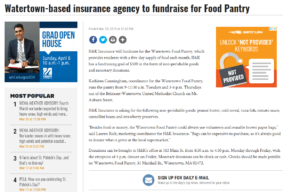 We were featured in WatertownMANews, an independent, locally owned news website, that highlights our fundraising efforts for the Watertown Food Pantry. 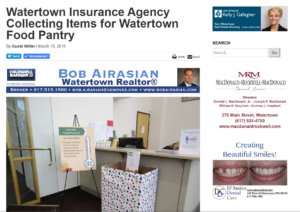 Stop on by the office to donate! 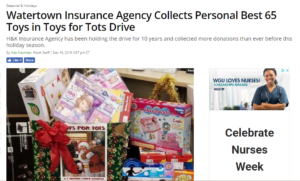 We were featured in the Watertown Patch for our 10th anniversary in collecting unwrapped, new toys for the holidays. We participate every year, but the year of 2016 marked a special milestone in both time and donations. 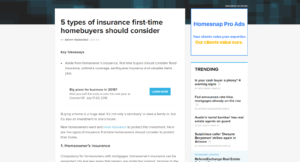 Kathy Francioso was featured on Inman for her knowledgeable insights on homeowners insurance. Whatever you do, don’t make these costly insurance mistakes! 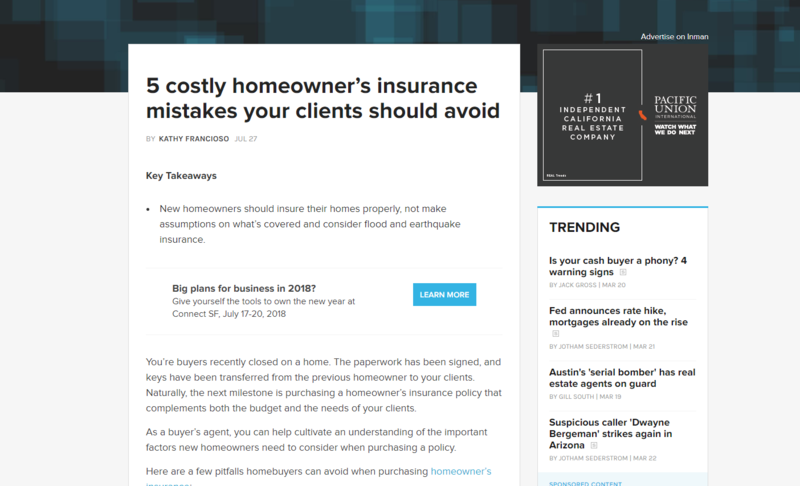 Kathy Francioso was featured on Inman for her knowledgeable insights on homeowners insurance. 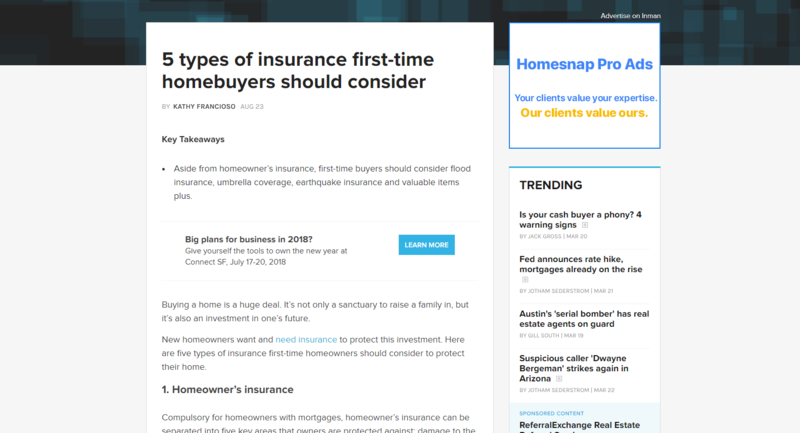 If you’re a first-time homebuyer, you definitely want to arm yourself with these coverages.